Recruitment teams and HR are seldom aware when spouses of their employees go to the emergency room due to stress and mental health issues after moving to Sweden. But as a relocation company we will be aware of such a situation because we have a Health Coach on staff, and we tend to see our transferees holistically. This is why we are advocates for thinking beyond closing an urgent skills gap right now. Instead we prefer to think 1-3-5 years down the line to see that the relocation will work for the company, employee and their dependents. A trailing spouse can (and is often expected to) scoop up all the worries that the person working doesn’t have time for. They are also the ones who pick up all the administrative headaches that the worker is too busy in the office to sort out. Relocating a family is a much bigger responsibility than a single worker, and not to be taken lightly since you have more risk factors in the assignment. For every person added to the mix, there is an additional person’s wellbeing at stake for a strong outcome. I think we all know that neighbor who moved to Australia - who wouldn’t want to - only to return because one of the teenagers didn’t like living there. Small things can cause big outcomes. As we are all aware, the shortage of talent is rampant not only in Sweden but in all of Europe. To keep the business going with the right talent, corporate recruitment teams are using more and more sophisticated tools and methods to interview potential talents in all time zones, with any language skill, and coming from a variety of life circumstances. A lot of people are of course thrilled to move to Europe and not least Sweden where the quality of life is known to be high. And it is an absolute joy to offer information on the free public schools, the minimal fees associated with daycare, the free medical services and for many inexpensive travel cards. 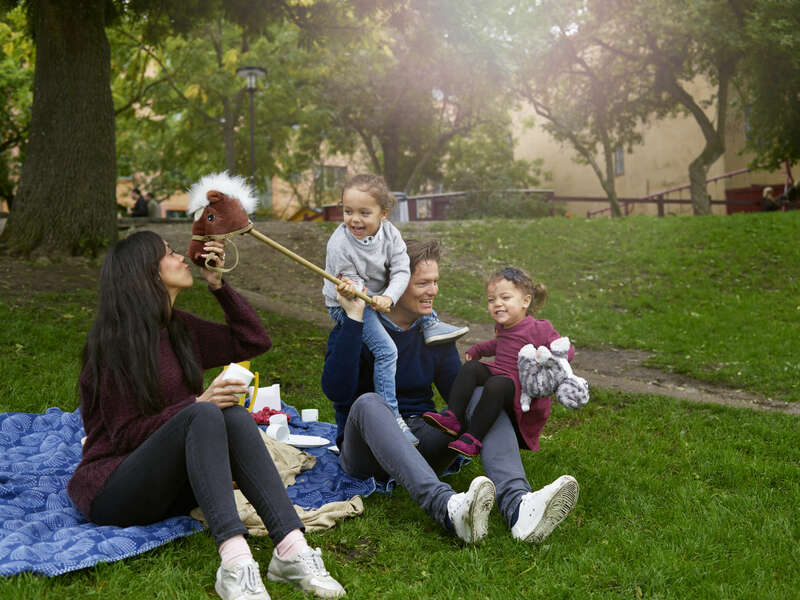 Sweden offers a number of subsidies such as paid parental leave, child allowance, and 25 paid vacation days - Eureka! A lot of this comes without employers having a direct expense as it is part of the public services available to everyone that is a resident. The talent is right to be excited. That said, this is where some caution is needed. Your new hire may not only be moving to lovely Sweden, but they may also leave some difficulties behind such as very long commutes, express kidnappings or they may simply long for taking a walk in a park without constantly looking over their shoulders. The tougher the place they are leaving the fewer questions seem to be asked up front in the recruitment process that should be an essential part of the decision making process for all involved. There is another side to the coin though, even in idyllic Sweden, and it’s fair to share that with them upfront. Sweden is very convenient for families with affordable childcare and workplace flexibility for parents. However, the whole set up is based on the assumption that both parents work. Very few families in the metropolitan areas can actually afford to live on one salary. That needs to be said. It needs to be said at the appropriate time and before the contract is signed. Does he/she want to work? In essence, is this a situation that can work out, or do we have another location, read country, that is more suitable for a one-income household family OR should/can we provide a salary that can enable suitable housing and lifestyle? Even a modest one. Does the spouse have the language capabilities to actually find a job in Sweden? It’s good to be realistic here. While it doesn’t open up the entire job market, English can get you a long way -- without English or Swedish there’s is little or no possibility to find a job. Does the spouse have skills that are in demand in Sweden? If not, is a recertification of an exam possible, is education available at a reasonable time, effort and cost to be able to enter the job market? Families that come to Sweden and will, at least in the interim, have to live on one salary tend to live far from the city center. When looking for a job it’s likely that having a driver’s license (and a car) will become important to get to work. Does the spouse have a driver’s license and does it need to be converted to a Swedish one? Is it the norm where the family comes from that both adults in the family work? If not, it can cause friction between the spouses when it becomes clear that the breadwinner is unable to provide the lifestyle they had at home and the other is also expected to pull his or her weight outside the home. It is not always welcome news so it needs to be addressed before they arrive. Is the spouse willing to do career counseling? Are you as a company willing to offer this service? There are excellent providers that do this globally. Is the spouse/family willing to live on a small budget to offset a second income if needed? Living within your means is most certainly an option, but expats run into a couple of problems. When the salary is too low for the family size then it makes sense to lessen the living expenses. One simple way to do that is by reducing the size of the rental. However, we run into a roadblock here which is that the landlords choose tenants so they set the rules, the tenant doesn’t. They look for security in getting the rent paid - achieved by requesting a corporate lease. Even though the tenant typically pays the rent, the corporate lease safeguards the punctual payment. They want minimal wear and tear - the fewer people that live in the apartment the better. Commuters have a very easy time finding properties. They want to maintain good relations with their neighbors - anyone that has lived under a family with kids or barking dogs will know what happens. This can explain why landlords are not willing to rent out their studios or 1 bedroom apartments to families. It’s not rare that landlords even say no thanks to couples. We see this every week. The Swedish cost of living can be a surprise, not only are taxes and the VAT higher than most are used to, but the price of food is also high. We often see that after a couple of trips to the grocery store, the rental budget is adjusted downward. When a family goes from a dual-income situation at home to being a single-income family in a high-cost country it can cause a great deal of stress. While daycare is cheap the running costs of a family is high in many other ways. For instance, few think of the fact that in Sweden you need clothes for 40-60 degrees given the temperatures can vary between -30-+30. Children’s activities come at a price and the clothing, sports equipment, instruments are added on top. BUT is that really the employer’s problem? No, in Sweden companies don’t think too much about the life outside of work for its employees, apart from maybe encouraging and contributing to the costs of sports. All of a sudden being expected to be responsible for employees personal finances is an unusual thought. This was a clear statement and left no room for misinterpretation. If you are closing a skills gap and you have to go far outside your borders to find that person you should treasure that gem and make it work for him or her. We don’t propose that you pay each talent so much that they can all live a life in luxury, and that wouldn’t sit well with local talents either, but they must survive and their relationships must stand the test of the relocation or they will leave. So what is the answer? It’s to make sure you evaluate the full scope of the situation and what is required by the individual, the employer and where a relocation company can facilitate. It’s good to remember that a relocation company can only work within the parameters of the situation so finding an apartment for a family at a price for a single student won’t be possible just be because you outsourced it. You can outsource handling tough tasks, but you can’t outsource mission impossible. Although that would be nice wouldn’t it? We see that HR teams don’t always have access to the cost of living data and they may get questions from new staff members that require both data and knowledge that is costly to receive. As a quick fix, expect at least 40% of the disposable income up to 50-60 000 SEK/month to go towards renting a property. Currently the Swedish labor market is screaming after qualified labor so a well-educated spouse can probably find a job, however, we do see difficulties in the less skilled sectors where contacts and language skills instead play a larger role. The full picture of the potential of the couple is essential to know before you determine the salary. This may seem like novel thinking, but it isn’t at all, Swedish companies often used to offer trailing spouses a small salary when moving abroad. Perhaps this is something that will reenter the contracts especially if we see a downturn in the economy where possibilities to have a second career are limited. A bonus for a trailing spouse can also be understandable to local colleagues that all know the essence of both partners having gainful employment here. The Swedish coin is turning into a cube with many flipsides. Sweden used to be a straightforward country to move to and change came about slowly. We are now seeing that a majority of our government authorities such as the Tax authority and Social Welfare insurance office along with their “first cousin” the banks are understaffed and deliver less and less on their promise. Assume the administrative burdens and costs associated with the delays made by government agencies. Outsource the problem to a relocation company/tax company/ or another potential party. Make sure these agencies have the funds needed to cover the administrative burdens and costs so they can take the ball and run with it rather than go back a request funds as they arise. Have a policy for this. Don’t assume any responsibility and let the transferee know that it is part of the puzzle that they need to solve on their own and it is “sink or swim”. Wish them luck. Companies that think holistically around their recruits have happier workplaces, not because of the table tennis, boot camps or pinball machine in the office, but due to the smooth arrival for a spouse. You don’t want to see your new recruit hiding away on the phone several times a day listening in on complaints from a dissatisfied spouse. That can happen anyway, but a lot of it can actually be addressed even before arrival and it’s usually not impossible to make it a great experience. Here are some ways you can contribute to a successful welcome, and long-term stay of your new talent. Lean on your bank to provide your employees with a bank account before all the rest of the formalities are in place so they can get their salaries. Asking your employees to knock doors of different banks with an unknown outcome doesn’t make you look good. Assist with deposit and rental the first time. Give them a relocation allowance - if needed use it toward rent & deposit. Always sign a corporate lease. Help them when needed to lower the burden of delays created by Swedish authorities. Provide big enough relocation programs to get help with the nitty-gritty. Share contacts to recruitment firms and companies that may be recruiting in case you have any good information. Always help out if there are off payments that need to be made before they have secured a bank account. Help out right away when a need arises. Waiting and discussing or trying to find alternatives usually ends up with a late action that has caused unnecessary stress and frustration instead of being the solution that you will in the end provide. A small note is that some nationalities need more assistance than others. Banking varies greatly around the world — Brazil carries a 22% transaction charge for an international money transfer. Some nationalities are not allowed to open a bank account until every single piece of the local registration has been cleared while other nationalities will experience a smooth ride. This can be difficult to explain and also not a pleasant thing to tell a recruit who will no doubt be uncomfortable to move to a country where they are second-guessed by banks and authorities. So to recap, our suggestion is to look at your transfer’s ability to assimilate in Sweden from all angles. Get to know his/her family’s long-term goals and decide if you believe their family is ready for this move and they, and your company are willing to sacrifice financially if need be.